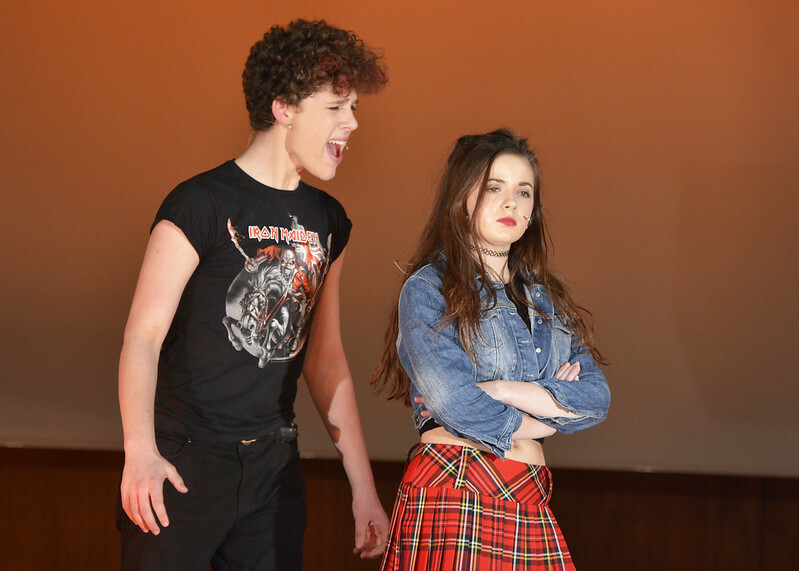 The cast ranged from Year 7 to Year 13 students who have rehearsed for months to make the performances a resounding success, under the guidance of a hugely talented production team. Mr Brad Dobson, Musical Director and Miss Emma Exworthy, Director, both made their debuts and should be incredibly proud of their hard work. Set in the year 2050, ‘We Will Rock You’ is based on the songs of Queen. The musical tells the story of a group of Bohemians who struggle to restore the free exchange of thought, fashion and live music in a distant future, where everyone dresses, thinks and does the same. Musical instruments and composers are forbidden and rock music is all but unknown. Talented Year 11 student Jacob Hargreaves played Galileo with Mary Morris and Caragh Casserly both outstanding as Scaramouche, on alternate performances. Other notable performances were from Alex Fairfield as Killer Queen and Sylvia Cullen as Khashoggi. Backed up by a chorus of singers, a team of dancers, and a band made up of staff and students, the production made outstanding viewing.